The avenues of communication available to Wisconsin’s inmate population are at best primitive and restrictive. Reaching outside the bars is the most difficult contact as an inmate’s audience is limited to a monitored and censored few. More often than not, any positive message they can give from their prison experience falls upon deaf ears. That is, until now. Where Boss Lady garnered her humanitarian and common sense approach to this issue is also an enigma. 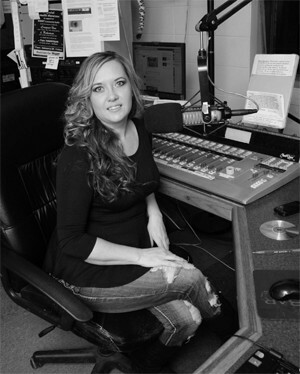 Central Wisconsin born and raised, she was drawn to radio as far back as she can remember, always in search of more music not readily available to the general population. Following the music, she migrated to Madison and immersed herself in what was then a lively and robust Hip Hop community. She could always be found at one of the many Hip Hop events, learning the business first hand. She frequented many of Madison’s short lived Hip Hop clubs, meeting the owners and making connections. Most recently she became a board member of the Madison Hip Hop Awards, and got a show on WORT. WORT has also been a useful vehicle for her many ideas. She originally subbed for other DJ’s, learned the trade, and, as WORT spots are rare, she waited her turn. Since taking the reins of “The Universal Soul Explosion” over a year ago, she has been busy. The studio phone will start ringing a half hour before her show and will be ringing still when she packs her gear and heads home early Sunday morning. One of Boss Lady’s best friends is DJ Big Juice (host of The After Party, Friday nights 2:00 AM to 6:00 AM on WORT) and they’ve collaborated many times producing, promoting, editing, mixing, performing and educating. They came up with the idea of producing a free CD with music from local artists and spoken words from the inmates. “The musicians were more than happy to support the project,” she said,” but how to record the inmates was another problem.” The answer was ingeniously simple. Several local artists gave freely their talents including Milwaukee’s Coo Coo Cal. DJ Juice mixed down the sound, dropping the music around the inmate’s voices. The finished project was inserted at audiomack.com (search: Outside in Inside out) and is available for free. To date no one involved in the project has made a dime. She plans the next CD will launch in late April. Mindful of her privacy she likes to keep the public informed from her chair at WORT. If you can’t stay up that late, wortfm.org has an Archives section where you can hear her most recent show in its entirety 24/7. If you wish to contact her, leave a message at: bossladymarketingandpromotion (at) gmail (dot) com. Let’s hope the message is heard.